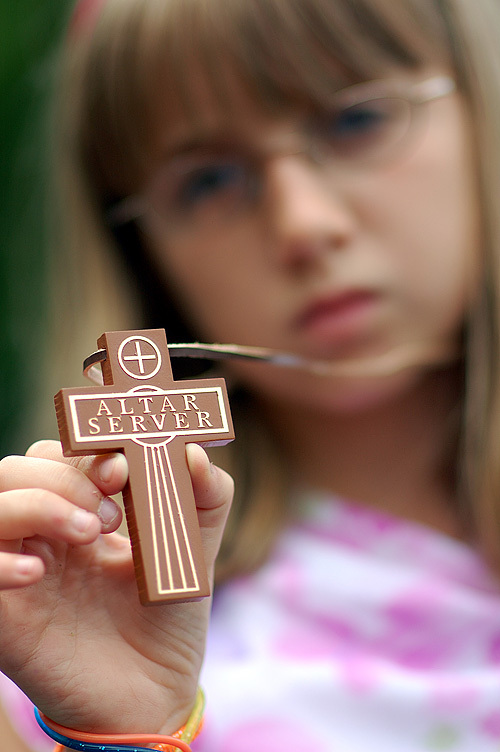 A year ago, Brittany became an altar server for our church. After a long day, including her ceremony, dinner with family, and lots of pictures, she was just not in the mood for anything else. I wanted to get one more shot - a shot of her holding up her cross.